The Arts Prototype Program is based on the Los Angeles Unified School District's Arts Education Plan and is action oriented. The sequential instruction in all the arts is envisioned by introducing dance, music, theater and visual arts in the elementary grades and focuses on multiple strategies for all of these art forms. Balboa has participated in the Arts Prototype program for the past ten years. 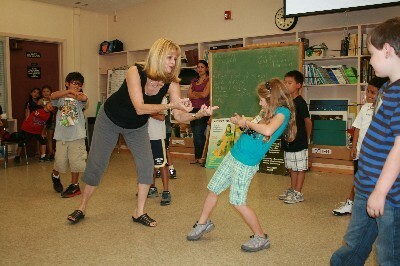 Balboa students have the benefit of two arts teachers during the 2011-2012 school year. Ms. Ginny Dultz currently teaches participating classes theater arts for two 8-week sessions. Two of her goals are to teach theatre skills (such as vocal projection, articulation, expression, timing), and story elements, using a variety of techniques such as theatre games, improvisation, and pantomime. Ms. Pat Tuttle will teach visual arts from February until June. As you walk around our school, you will see ample evidence of our visual arts lessons throughout the years.